Munich - Compared to the big-name acquisitions of Javi Martinez and Thiago Alcantara in years past, FC Bayern München's under-the-radar signing of Spanish Under-21 international Juan Bernat probably feels like something of a curve ball. On closer inspection, however, the rationale behind the move for a man who only made his domestic breakthrough at La Liga side Valencia CF in 2013-14 bears a striking resemblance to those of his aforementioned compatriots long at home in the Bavarian capital. For , prised away from Athletic Bilbao in August 2012, the allure of playing for "one of the best teams in Europe" was too good an opportunity to miss, while ex-FC Barcelona prodigy Thiago jumped at the chance to link up with his former mentor and fellow Spaniard Pep Guardiola a year later. For 21-year-old Bernat, it's a case of all of the above and much more besides. "I've played for Valencia since I was six and it made me very proud when a big club like Bayern Munich showed an interest in me," Bernat told fcbayern.de. "Bayern are one of the best clubs in the world and it's a great motivation for me being in a position to play for this club. I want to give my all to get into the first team and go on to win plenty of titles." 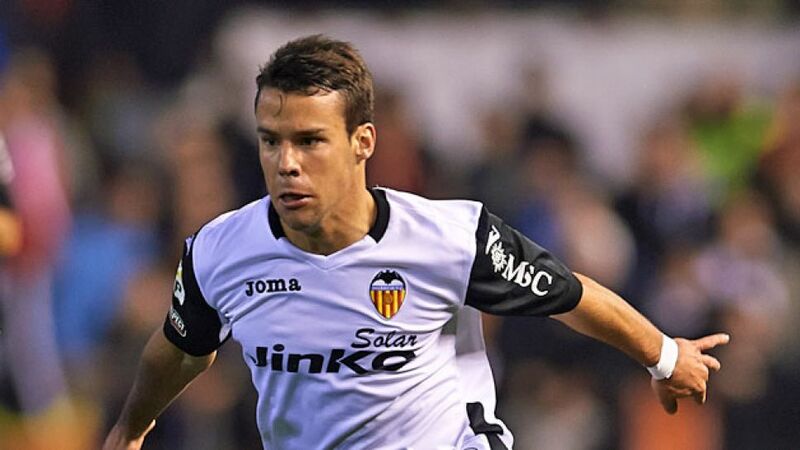 Bernat sampled gold as part of the Spain squad that won the 2012 European U-19 Championships in Estonia, not all that long after taking his domestic bow with boyhood club Valencia. Other than that, save his ability to operate as either a left winger or left-back, it's fair to say the Cullera native is seen somewhat as an unknown quantity away from his homeland. "It's always a bit tricky talking about yourself," Bernat admitted. "I think I'm somebody who likes to get forward down the flanks and I'm quick, good on the ball and strong in the tackle. Those are my main characteristics and I'm looking forward to being able to show Bayern fans what I'm capable of." And so chimes the gong of similarity yet again. Lashings of potential and a good glug of malleability: characteristics shared by both Martinez and Thiago, and held in the utmost regard by Bayern's tactical innovator. Anyone would think the Spanish quartet had met before. "As of yet, I don’t know them," Bernat revealed. "But I'm looking forward to getting to know them and I think they will be a big help to me when it comes to settling in here in Munich […] Guardiola is definitely one of the best coaches in the world. I think I can learn a lot under him and I'm really looking forward to working with him."